This week is a fun one...The Fish Derby is on along with Winter Carnival Week at the School...Lincoln's Birthday is Tuesday...Valentine's Day is Thursday...and then there's Pygmalion over the weekend! It's a busy time. People always ask what we do in the Winter...it seems like there is a lot to do! 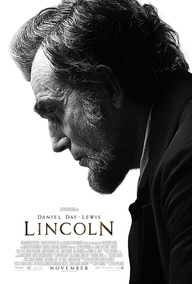 Lincoln was born on February 12 - I do like this guy...we go way back. I lived most of my life in Illinois so I grew up hearing, reading, and visiting many things Lincoln. I was born on his birthday...the day not the year. I received many "Lincoln Log" sets...and they wern't as much fun as Legos, I think. Living in Illinois, I always had the day off from school...very cool! Having chosen Education as a career, that perk continued for quite a while...and then President's Day came along....one must cope with changes, but it sure was fun while it lasted! Do you think Abe said/wrote all the things attributed to him? Hmmm...not sure but I do like this one. The latest movie?... Not bad. I liked it. My book club is currently reading Gore Vidal's Lincoln...quite interesting especially since seeing the movie....what an accomplished communicator and complex individual...a good Winter's read. She (meaningfully) to he (oblivious): "Valentine's Day is Coming Right Up, you know!!" if not...get moving! Here's an idea: chocolate cupcakes with peanut butter frosting...Danish Mill does them quite well! I think there might be some red velvet ones too. 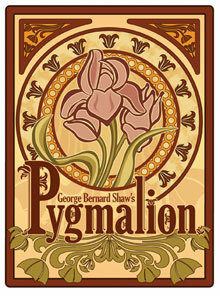 Island Players' Pygmalion is coming up...** Producing two tickets for a performance and a cupcake might be just the thing. (Tickets are available at the Red Cup and the Rec Center)...Yes, I know the Fish Derby is on and coming to a grand conclusion about that time but think about it...Or maybe jewelry designer, Laura Findlay Hagen can help you out!......Oh! I hear Findlay's Holiday Inn is preparing a special Dinner for Valentine's Day....it doesn't matter how big or small the idea might be...it's the remembering that counts. Another window shot...the sill this time...Love valentines in Nature! Valentine's Day is a very good time to remember your friends...girl friends are important... significant...in a woman's life. I took the photo above at Culvers in Sturgeon Bay the other week. Hadn't been there for a while and it appears the new owners have given the place an update. The sentiment in this piece is so true! As I took it in, I realized it had attracted me for another reason. I recognized the artist...Jeanne Whildin...nice to see such a wide selection of her work presented here! Made me smile. Wish it could have been a better photo but try as I might it wasn't happening. All the more reason to take a look when you are in the area. It is a wonderful thing to see something that reminds one of a long ago colleague. My life would not be the same without my friends......thank you, Ladies! One last quote from Mr. Lincoln..."Always remember your resolution to succeed is more important than any one thing." The photo actually came along with the quote***...talk about fitting in...seems meant for a blog on the Island!